Ava and Geoff are the sweetest couple! 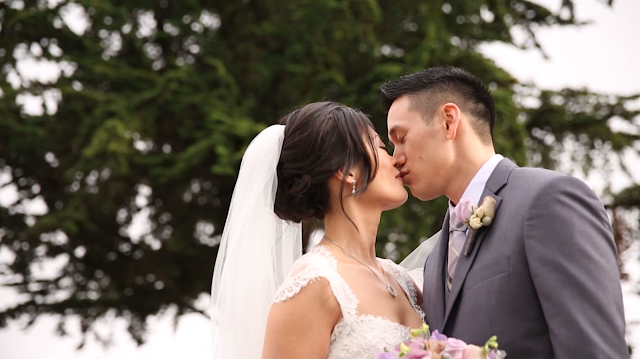 They celebrated their wedding at the Oceano Hotel in Half Moon Bay. They included a very intimate tea ceremony with their close family, and wrote their own vows for their ceremony with Geoff's uncle officiating. Ava a talented wedding & event caterer herself of Le's Kitchen Catering did her own catering for their wedding, a very personal touch that we love. We had the opportunity to work with some of our friends and talented vendors Maria Chang of Professional Makeup Artistry, photography by Augie Chang, Nicole Ha who did the gorgeous flowers, and Sweet Lauren Cakes who did the cute dessert bar.